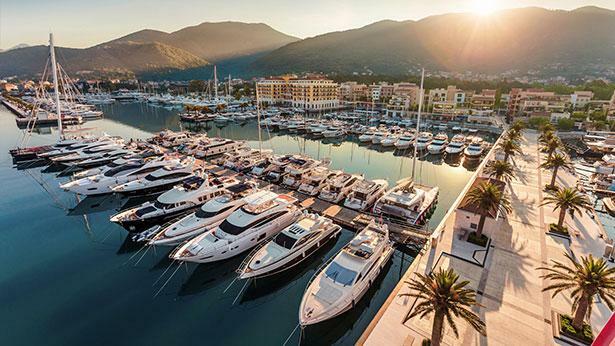 The 2nd MYBA Pop-Up Superyacht Show is once again to be hosted by the popular yacht charter and yachting destination, Porto Montenegro in the Eastern Mediterranean. The event will take place on the 2nd, 3rd and 4th of September 2016, hosting some of the most prominent international brokers, agents, and a line up of beautiful 20+ metre superyachts. Thanks to 250m LOA berth capacity at the marina, there are no limits to the yacht size at the show and interested parties are invited. Discounted rates are available for those who register early. All yachts over 20metres, charter agents, sales brokers, charter managers and technical yacht managers are eligible to register. MYBA Members, Yachtfolio subscribers, Yachtfolio-listed yachts and MYBA E-Contract subscribers will automatically be accepted. Last year saw 29 superb superyachts attend the show, including the 49,9m MARIU, 46,64m CHARISMA or the 44,68m BERZINC. Today, Montenegro is regarded as the newest superyacht hot-spot amongst yacht chartered, discerning travellers and celebrities. It is renowned for its incredible natural beauty, yacht-friendly tax and legislation benefits, as well as fast developing yachting infrastructure.